Ready for a big night out? Check out Hongdae for all the action! If the glitz of Gangnam is wearing you down, it might be time to give Hongdae a visit. A hangout for university students and the unkempt, the Hongdae area is known as a bit of an ‘alternative’ area in Seoul, with urban street arts and a vibrant underground music scene. Despite the recent explosion of upmarket brand shops that pushed alternative artists back towards Hapjeong Station, new indie rock bands show up every year and the area still has a well-earned reputation as the city’s top spot for indie musicians. YG Entertainment, the major K-Pop agency is also located near the street, if you fancy your chances at a K-Pop career. On Saturday and Sunday mornings the nightlife gives way to Seoul’s best flea markets, with a particular emphasis on art. After a morning shop, visitors find themselves a meal at one of the countless ethnic restaurants in the area. The biggest night of the week in Hongdae remains “Club Night”, an institution in the late 90’s that has recently gone through a huge revival. On Club Night, all the clubs in the area offer entry for the price of a single ticket, and Hongdae draws clubbers and revellers from all over the city. 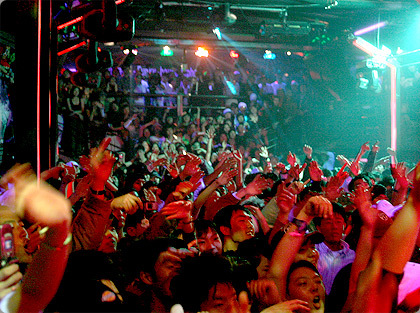 You have to go to at least one Club Night while you’re in Seoul….your Lexis classmates won’t let you miss out!! Want more? Join the debate….Which is better for a night out, Hongdae or Gangnam?? Getting there – Hongik University Station (Line 2). Take exit 9. Brace yourself. Hint – Overdone it? Get a couple of hours sleep in a DVD Bang for just a couple of thousand Won. There are hundreds of these in the area. Next postLearning Korean – Try this tongue twister!